Confortable et spacieux, 4 personnes, 2 chambres, 2 salles de bains. Entièrement meublé, avec cuisine, buanderie, salle à manger, salon avec TV satellite, patio privé, WiFi gratuit, parking sécurisé hors rue. Situé dans un joli jardin avec une grande piscine, un barbecue et un court de tennis. Idéalement situé: à seulement 15 minutes de l'aéroport international du Cap, à 15 minutes de la CBD, V & A Waterfront et Table Mountain. De belles plages à seulement 15 km. un moyen. Jardins botaniques de Kirstenbosch à proximité et célèbre route des vins 50 km. un moyen. Accès facile aux meilleurs restaurants, cafés et centres commerciaux. We had a great time in Renata's Cottage. The Cottage is located in the garden of Renata's home, directly at the pool area. Two bedrooms and a very comfortable kitchen / living room area makes it perfect for a Family of 3 or 4 People. We can really recommend the place for an easy and comfortable stay in Cape Town. Thank you to Claudia and family. I`m very pleased you were comfortable and happy at Sunnybrae Cottage. I hope to see you again some time in the future. I came to South Africa for a conference, this cottage suited our needs perfectly. Very easy to find (only two turns from the airport access road to here - a 15 minute drive). It is a good location to explore the cape, easy access to everything without being congested like the city centre. Beautiful views of Table Mountain. The owner, Renata Puccini, was very helpful, both before and during my visit. 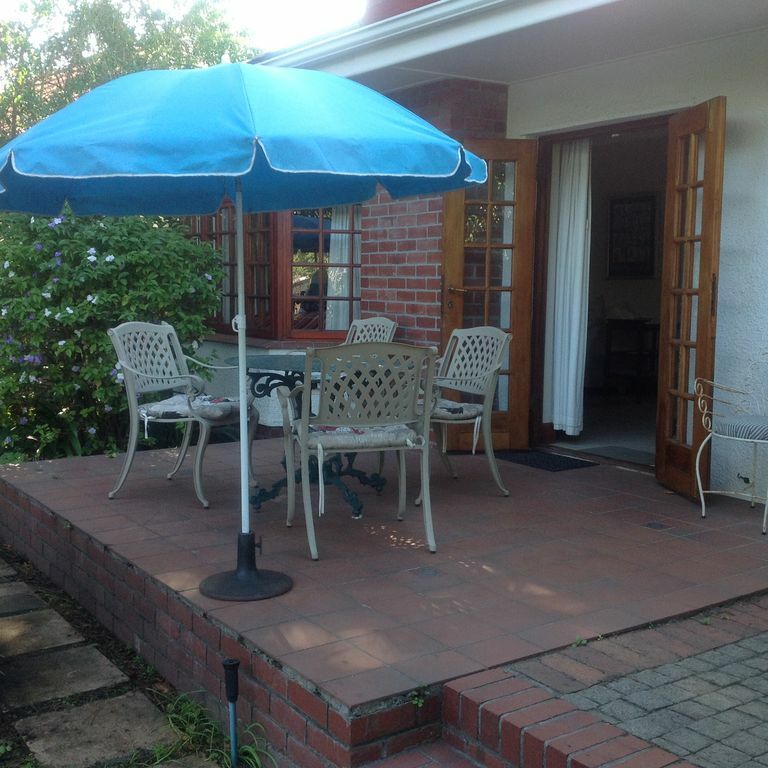 The cottage is lovely and part of a larger, gated estate. It ahs everything we needed. We would certainly come back here if the opportunity to visit South Africa comes again. Thank you Bob, it was a pleasure meeting you as well. So pleased you were comfortable and had a good time here. Just a pity your stay was brief and busy, but I enjoyed our chat over a glass of wine on your last night here at Sunnybrae. Hopefully you will be able to return one day, perhaps this time with your family.